Benelli M2 - A gun well worth considering if you are searching for a quality semi-automatic without spending a King's Ransom. Instruction (Clay, Game and Rifles) - Shooting articles broken down into different sections depending on your level and interest. Starting to shoot; everything you need to start shooting including how to get a licence and buy a gun. Masterclass; practical, proven, tips for intermediate and more experienced clay and game shots. The section on rifles and rifle shooting will be expanded soon. Shooting Abroad - Adventures abroad, recent trips including a month long safari in Africa, pigeon shooting in Serbia, pig shooting in Poland and chamois in Austria. JFK and RFK Assassinations - Mike's TV work as a 'sharpshooter' and ballistic consultant. Articles include re-enacting the JKF and RFK assassinations, shooting down the Red Baron, 'Truck Hunting' and re-enacting the Trojan Horse from ancient history. 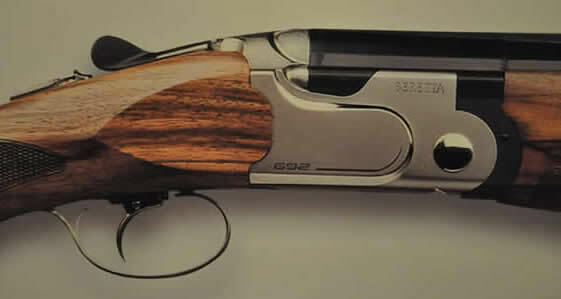 Recent gun reviews we've just put up include the latest Browning 725 and the new Beretta Silver Pigeon 1 and the DT11. All fantastic guns well worth a look. You'll also find Mike's 10 Best Game Guns and his 10 Best Clay Guns. We've just set up the start of a Gun Gallery. Loads more guns and captions still to go up. If your looking for shooting tips to improve your shooting why not start by checking your Eye Dominance. You'll find loads of articles in the Masterclass Section. For those interested in adventure check out Safari in Africa and Pigs in Poland or even some of the re-constructions I made with the discovery channel such as the JKF and RFK assassinations. Sign up for your free monthly POSITIVE SHOOTING.com E-Newsletter for the latest articles and shooting news. And, don't forget to check the POSITIVE SHOOTING Shop. I've just launched a new game shooting DVD called Natural shooting. Mike Yardley, one of the few shooting instructors who is also a qualified experimental psychologist, has over 30 years of experience teaching and researching shooting. He's now put his wealth of knowledge online to help you improve your performance. 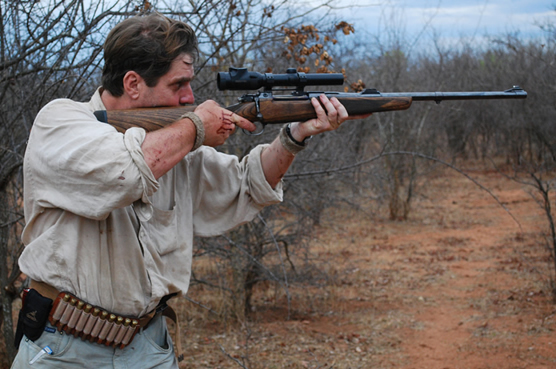 Whatever form of shooting your interested in - clays, game, stalking, target rifle or pistol - Mike has done it. Mike has published a dozen books, written more than a thousand articles and produced many dvds on shooting. Whether your new to shooting or an expert we think you will find this a useful resource. Although www.positiveshooting.com has been started by Mike there will be articles by other experienced professionals as well.